This is a very enjoyable walk for experienced and intermediate walkers. Only the distance makes it a little long for beginners, although a linear walk along part of the route (Lynton nature reserve to Normanton, for example) would be an enjoyable shorter walk. This is a very easy route for navigation and terrain. Anglia Water have gone to some trouble to signpost the route well and keep it clear. Much of the route is surfaced paths, and on my last visit, August 2010, more paths were being surfaced. There are toilets, cafes and more at the Normanton and Whitwell visitor centres, toilets also at the Egleton bird watching centre, and refreshment kiosks at various other points en route. If you like some solitude, perhaps this route is best walked out of season. It's very popular with cyclists and there is a cycle-hire shop on the route, so in Summer you will experience a constant ding-ding of cyclists behind you wanting to pass. There's so much going on around and on the water; fishing, sailing, even climbing. 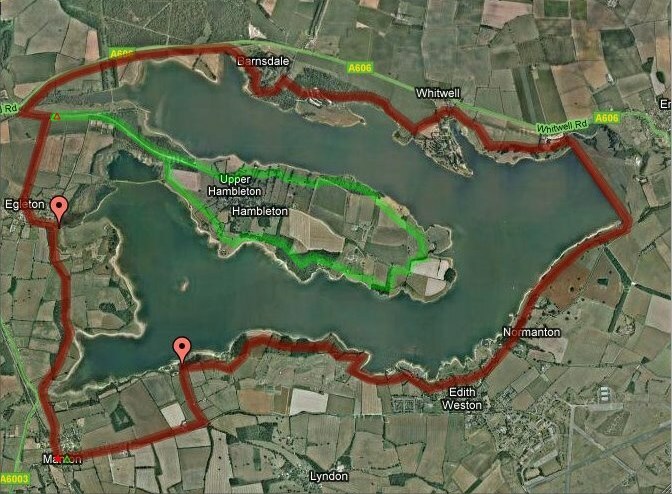 The shorter 17 mile route is a circular route around the reservoir. If you choose, you can take an optional route around the peninsula which makes the route up to 26 miles. Being a circular route, you can pick a start / finish point anywhere along the route. The lyndon nature reserve is a good place to park, as is Manton close to the Horse and Jockey Inn where you can enjoy refreshment in the company of other walkers and cyclists. The following notes are written as if you're starting from Manton and walking around the reservoir anti-clockwise. You will be walking alongside a road, but look out for glimpses of the water. What looks like the opposite bank with a large hall is actually the island-like peninsula. You have to use your imagination a little bit (and refer to the maps below) as it's not really possible to get a good impression of the overall sideways-U shape of the reservoir from many points around it, except for maybe the dam, where you can see the two 'arms' extending into the distance. Look out for a left turn, just after a garden centre. 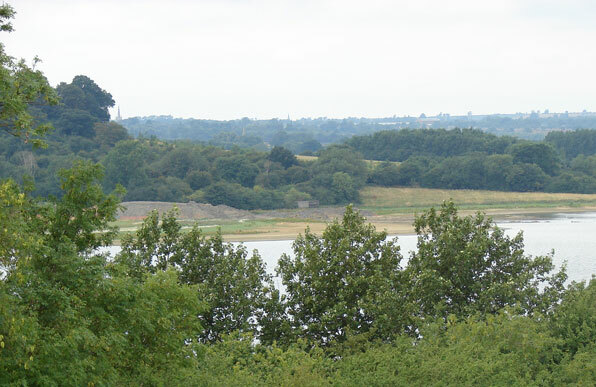 It'll be signed as a cycle route and nature reserve. It's quite a steep downhill. Pity the cyclists coming the other way, and enjoy the views here. Pause at the visitor centre if you like, and look out for the path which takes a right turn at the bottom of the hill. 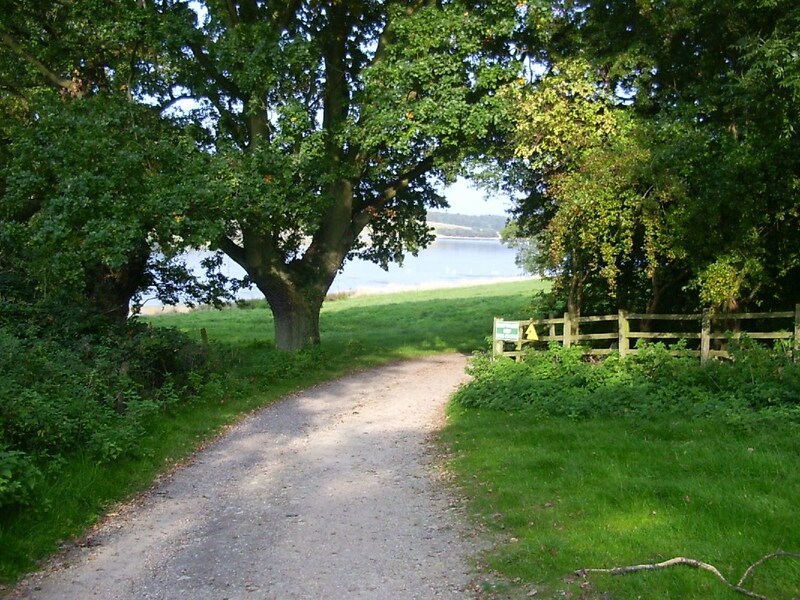 Then follows a very pleasant part of the walk, through woods and along the banks of the water. 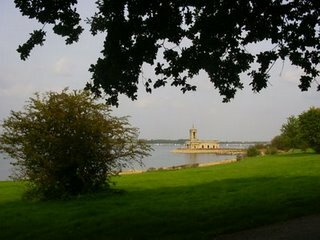 If you have time, Normanton Church Museum is well worth a visit. It was saved from the water when the valley was flooded. 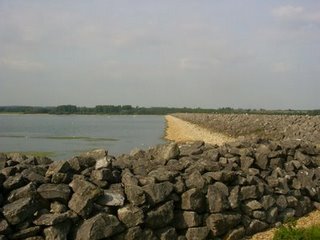 A long straight path takes you along the top of the dam at the eastern side of the reservoir. 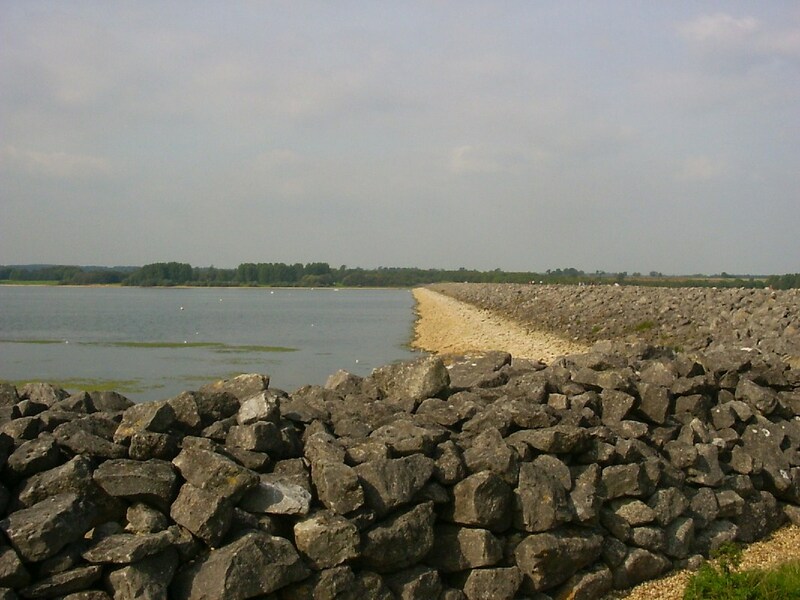 It looks like a huge dry-stone wall, and the village to the east is much lower than the water level. The other side of the dam sees nice undulating paths through woods. It can be a little confusing finding your way through the sailing / climbing centres so look out for the signs. After Barnsdale, you do have to join the A606 and walk along its cycle path. You lose sight of the water for a little while. Don't miss the left turn signposted Hambleton and Egleton. Look out for the signs which point you straight on for the 7 mile Hambleton peninsula loop, and right to continue on the circular route towards Egleton. The choice is yours! 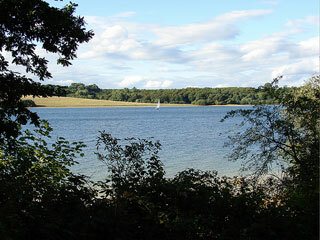 Walking the Hambleton Peninsula is a fascinating experience. The reservoir is a U shape. If you walk anti-clockwise around the outside, and keep the water's edge on your left, you find yourself changing direction and walking the peninsula clockwise, and seeing paths you've already trod across a stretch of water. The big surprise on arrival at the peninsula is the long busy road. For a couple of miles you may be dodging traffic. It's well worthwhile, because once off that road, the views across the water are excellent. Once back to where the loop divides off, you'll be walking along minor roads and footpaths, through Egleton and finally back to Manton. If you've enjoyed these photographs of some of the beautiful views and things growing and living in our countryside, why not use one as your desktop image?